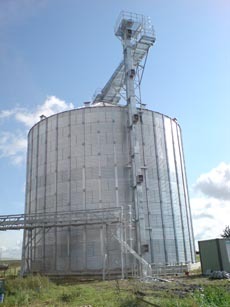 Stealth Electronics Ltd. can offer a complete range of products for the measurement and control of temperature within Silos. 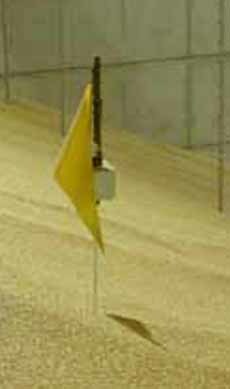 Temperature pendants, referred to as hawsers, are suspended by eyebolts from the top of the silo, enabling the measurement and recording of crop temperatures at various heights. The pendant is supplied with a simple eyelet and shackle to allow suspension from the silo top and to prevent movement during crop loading a lower eyelet is provided for attachment to the base. 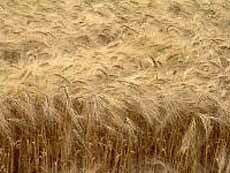 Two metre temperature lances are also available for monitoring temperatures in flat bulk stores. 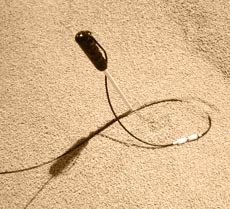 These lances are also available with radio linked communications to remove the need of wired connections and assocated installation costs. 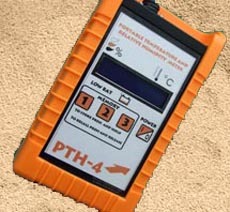 By connecting a simple handheld battery operated temperature monitor (PTH-4) and a switching box, the temperature at each level of the silo can be accurately monitored. The IP66 rated switching box is usually mounted on the side of the silo at ground level for convenient access. 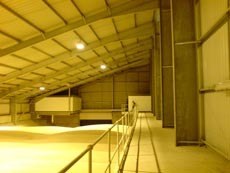 Alternatively hawsers can be linked to the Series 2000 Silo Control System allowing remote monitoring of hundreds of sensors from multiple Silos. 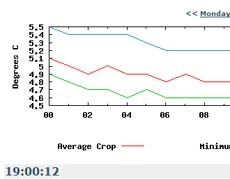 Data can be automatically analysed and used to operate either an alarm system or ambient fans to control crop temperature. Optional relative humidity sensors are also available to ensure prevailing ambient conditions are satisfactory before fans are activated. 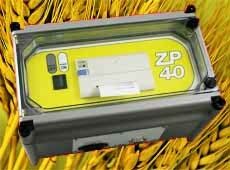 Controllers can also be programmed to provide timed downloads of data to an 80-column printer as required for logging records of the stored crop. 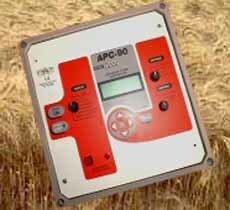 The Series 2000 Controller is capable of allowing unlimited numbers of sensors and silos to be configured to the system and a unique Serial Connection system allows a single cable run from silo to silo reducing both the number of cables and the installation cost. With increasing numbers of Silos and sensors a crossover point is reached where it becomes more convenient to use the Stealth Electronics Computer System. In practice, regardless of the number of sensors being monitored, many customers prefer the simplicity of using Windows style programs and the familiar mouse to adjust and interrogate the controller settings. Stealth Electronics Software is easy to operate and temperature displays can be viewed for any controller on the network at anytime. 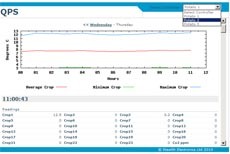 Monitored temperatures can be displayed graphically and can be configured to include ambient temperature, alarm set points and date stamps. The graphs can also be printed on a colour printer. 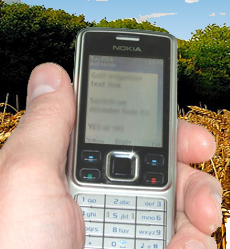 Remote access is available through the inclusion of a modem and telephone connection and an Alarm Software Option enables text Message Alarms to be transmitted to selected mobile phones. This allows an operator to be advised of any adverse changes to silo conditions in real time regardless of his geographical position. The system can also be expanded to monitor alarm conditions of other electrical plant on site. By utilising and expanding the electronic functions, systems can cater for total site requirements, ensuring that an investment with Stealth Electronics provides both economy and peace of mind. 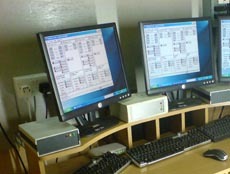 The controllers data can be downloaded on to a USB memory stick and read on a PC computer in the office. The season's data can be viewed and printed as required. For an easy and cost-effective approach, the System will up load data to the Stealth on line web site on an hourly basis. 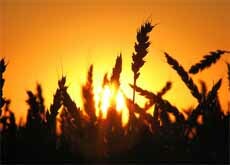 After security passwords are entered, silo temperatures can be accessed via the Internet from any location in the world. A truly technologically innovative use of the web. For additional information please contact our Sales Office who will be delighted to discuss your specific requirements at any time without obligation. A free demonstration and quotation is just a telephone call away.